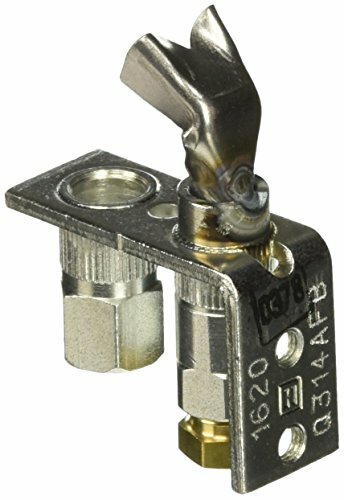 This Honeywell Q314A4586 Pilot Burner is a non-primary aerated, insert orifice type pilot burner for main burner ignition. 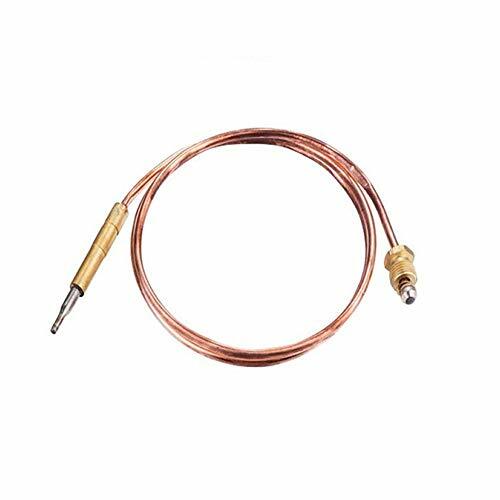 This product may be used with Q309 and Q340 Thermocouples or Q313 Thermopiles. Used with Q309, Q340, Q390 thermocouples or Q313 thermopiles. Compression Fitting Size: 1/4 in. 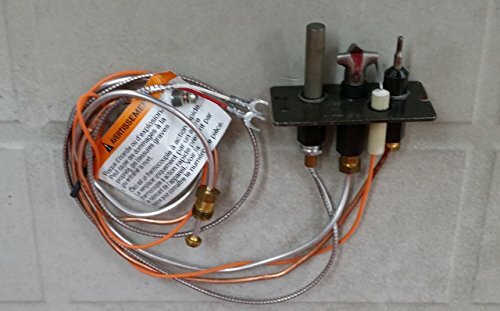 This propane pilot assembly was used by Majestic on some direct vent models. DVRT36, DVRT39, DVRT43, RFSDV22, DVRT43, RFSDV32 RFSDV42, 360DVS3. There are several pilots they used over the years, check you manual for part number. Pilot tube, thermocouple, thermopile, and ignitor wire are about 24" long. 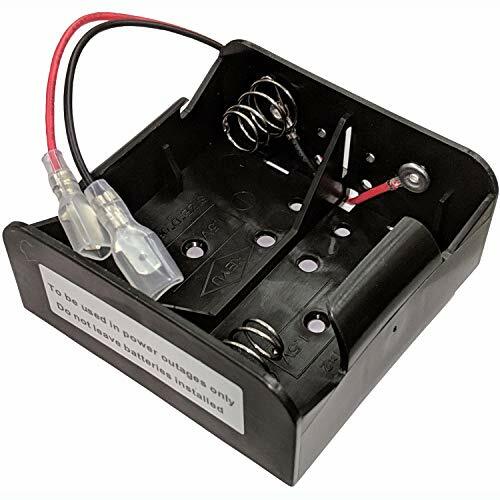 Dexen battery pack for Dexen IPI electronic ignition system. Can opererate the fireplace in the event of a power outage or if no electricity was run to the fireplace. Complete Direct Vent Natural Gas Fireplace Pilot Assembly. Most commonly used by most brands. Fits many Majestic, Monnessen 37D0018K, Empire units, & Heatilator 571-510a. Fireplace flat three way pilot assembly. 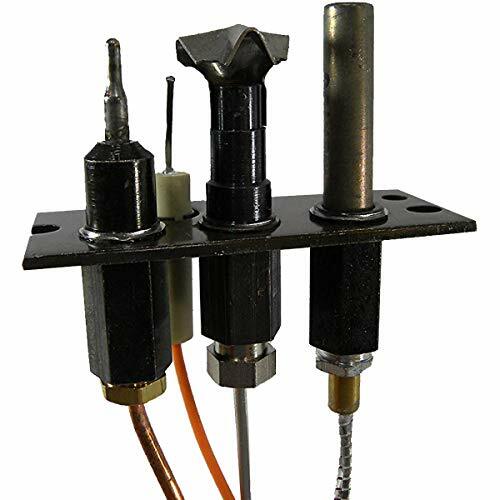 Comes with thermocouple, thermopile and electrode. Fits many Majestic, Monnessen, Empire units. The 14D0477 is a pilot for vent free propane gas units with a millivolt valve. This Pilot/ODS Assembly is also sold as the 103778-01, PP225 Pilot ODS and LPG8414 Pilot. This 14D0477 Pilot was used in many Monessen, Majestic, Vermont Castings, Vanguard, Comfort Glow, Desa, FMI, Empire and other fireplaces and gas logs. 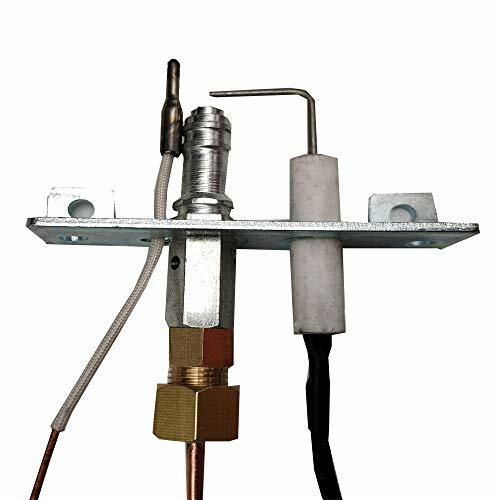 The Pilot is integrated with a thermocouple and thermopile for Propane Gas (LPG) ONLY. 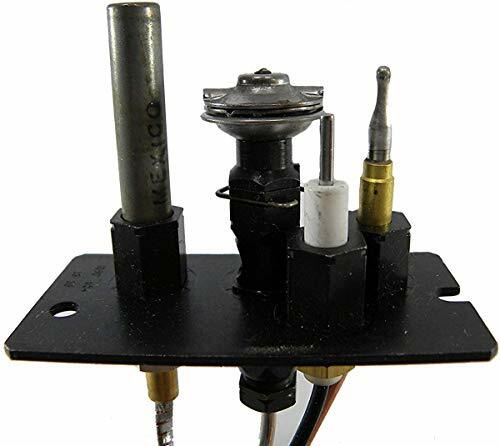 Replacement SIT 3-Way Pilot - LP for Majestic, Temco, and Vermont Castings Gas Stoves. Fits the following models: Majestic Gas Stoves: 33BDVR 33BDVT 33LDVR 33LDVT 360DVS2 360DVS2RNMH 360DVS3 360DVSL 360DVSR 36BDVR 36BDVT 39BDVT 43BDVR 43BDVT 43LDVR 43LDVT DV360 DV580 DVB4136 DVHVAC36 DVR33 DVR36 DVR39 DVRT36 DVRT39 DVRT41 DVRT43 DVRTSB DVRTSB DVT36 DVT39 DVT43 NV360 NVBC36 NVBC42 NVBR36 NVC36 NVC39 NVC43 NVSTR36 ODGR400 ODGR500 ODGSR36A ODGSR42A RDV4136 RFSDV22 RFSDV32 RFSDV32RMH RFSDV34RF RFSDV42 RHEDV25 RHEDV32 RHEDV42 Vermont Castings Gas Stoves: 33XDV 36XDV 39XDV Brookhaven 20DVT LHEC20 LHEC30 LHECDV20 LHECDV30 LHER20 LHER30 LHERDV20 LHERDV30 Oxford DV and NV OXDV30 Pinnacle DV Rear Vent Radiance RADVT/ RADVTCS Radiance RADVT/RADVTC Radiance RDVOD Radiance RNVOD RFSDV24 Stardance DV (3900-3916/ 3940-3956) Stardance Natural Vent SNV30 Stardance Rear Vent SDDVR/ SDDVRC Stardance SDDVT SDDVTCS Stardance SDDVT/ SDDVTC Stardance SDV30 Rear Vent Stardance SDV30 Top Vent Stardance DV25 Dutchwest Gas Stoves: 2465 2466 NV 2467 NV 2468 Monessen Gas Stoves: RFSDV34TSR RFSDV24SR Century Gas Stoves: Jefferson Direct Vent Temco Gas Stoves: GFPN41 Majestic part # SRV10002265 Replaces old part number 10002265 OEM Majestic Part May fit other models as well. Please check your owners manual for part numbers. 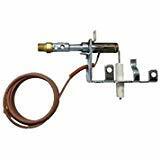 Complete Direct Vent Propane Gas Fireplace Pilot Assembly. Most commonly used by pilot by most brands. Fits many Majestic, Monnessen 37D0019K, Empire units, & Heatilator 571-51aa. 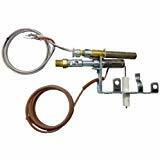 This is a replacement Monessen 14D0476 Propane Gas Safety Pilot Kit. Fits the following Monessen model numbers: 24DBX_TC, 24VFSC, DBX24C, DFX24C, DFX32C, 18HVFL, 18VL, 24VL, 30VL, DEB20, DEB24, DEB30, EYF18, EYF24, HVFL18, 18VLS, 24VFS, 24VLS, 32VFH, 36VFH, 42VFH, DBX24, DB24, DFS3224, DFS32, DFC42, DFC36, DFC32, DFS32A, DFS3224A, DFS42A, DFS42, DFS36A, DFS36, DFX24, DFX32, DHH, DIS33, DIS33C, DIS33D, DLX24 MANUAL, DLX24 THERMOSTATIC, DLX28B MANUAL, DLX28B THERMOSTATIC, DLX24 THERMOSTATIC, DLX28 THERMOSTATIC, DLX24 MANUAL, DLX28 MANUAL, DLX18B MANUAL, DLX18B THERMOSTATIC, DLX18 THERMOSTATIC, DLX18 MANUAL, DYS24, DYS18, DZS36, DZC36, HHD, CFX24 Chesapeake, CFX32 Chesapeake, PH18, PH24. ALL Gas fireplace pilots and parts should be tested and installed by a certified gas technician ALWAYS. This product only has M10 thermocouples. If you want to buy a suit, please contact customer service. 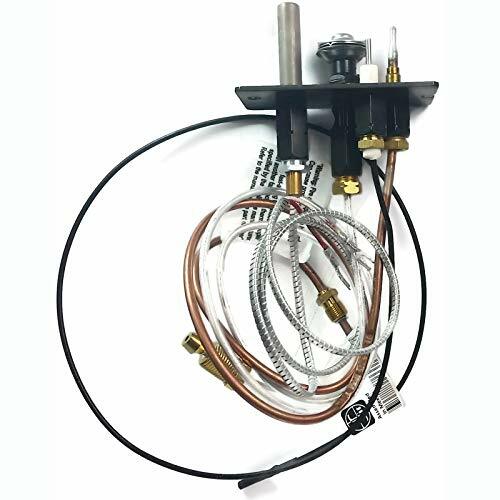 The Replacement Millivolt Pilot Assembly, 18-Inch, Natural Gas from Robertshaw provides an important component for a millivolt gas valve. 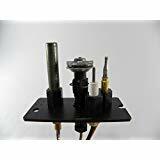 The superior design and construction of the pilot assembly ensure a long lasting and quality product while the 18 inch lead wires provide plenty of length to reach the gas valve. Be sure to adhere to the manufacturer's listed directions and local codes when installing this product. 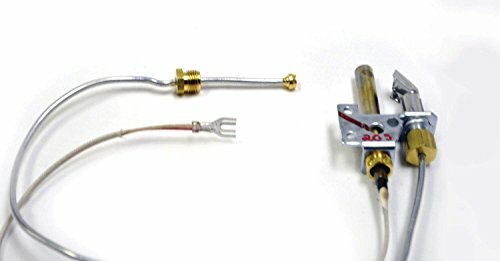 This New Original Equipment Manufacturer Propane Gas "LP" ODS Pilot Assembly part number 103778-01 is designed as an original OEM replacement part for most of the newer Fireplace / Gas Logs set heaters made by DESA International and sold under the DESA Family of Brands and other private labels known as Comfort Glow, Glow Warm, Vanguard, FMI, Hearth Side Designs, Sears, Grainger and others. Sure Heat Safety Pilot Light for Natural Gas and Liquid Propane fire places. Use only on vented fireplaces. 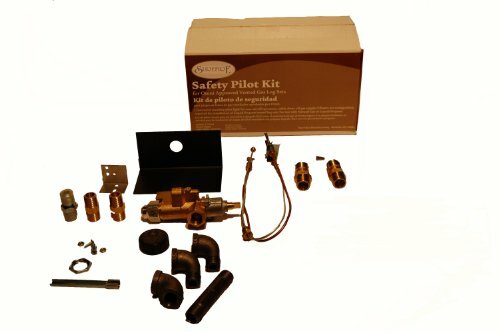 The 182UPK Rear Inlet Safety Pilot Kit, Universal from Copreci provides a high quality safety pilot kit for use with a gas log burner. 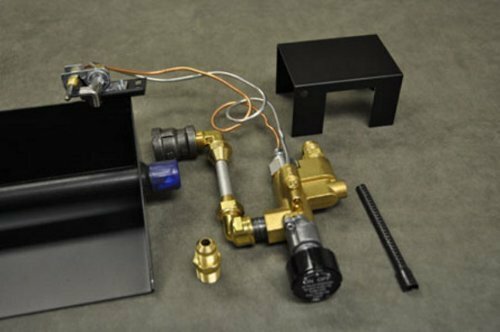 The superior construction and design ensure a long lasting and quality product while the natural gas pilot kit is designed for to mount straight to the burner pan. 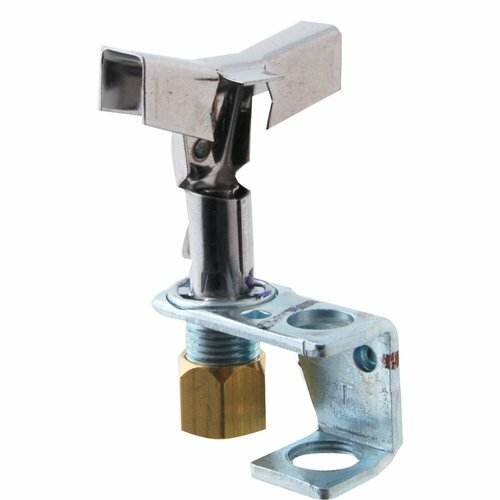 This unit can mount straight out from the burner pan or use the fittings included with the kit to move the valve forward or up and away from the floor and burner pan. 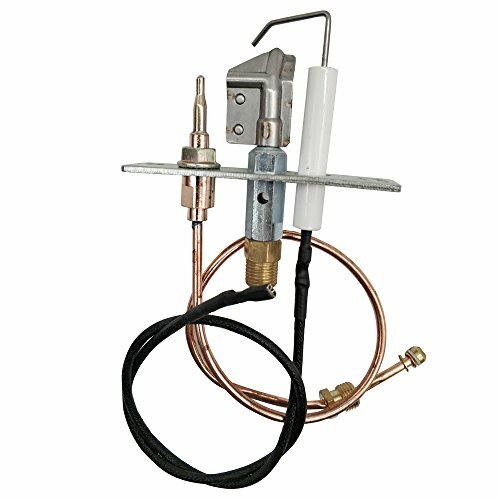 The kit makes use of the Copreci 90,000 BTU valve that's rated for 300 F and features a side inlet that should connect to a 3/8-inch male or female or 1/2-inch male thread while the included 70LPK conversion kit allows this pilot kit to be universal for natural gas or propane. Be sure to adhere to the manufacturer's listed directions and local codes when installing this product. The Kit does not need any more igniter just connect well and connect the alumium tube with to burner nozzle well. The Valve is CE certified, Quality assured. 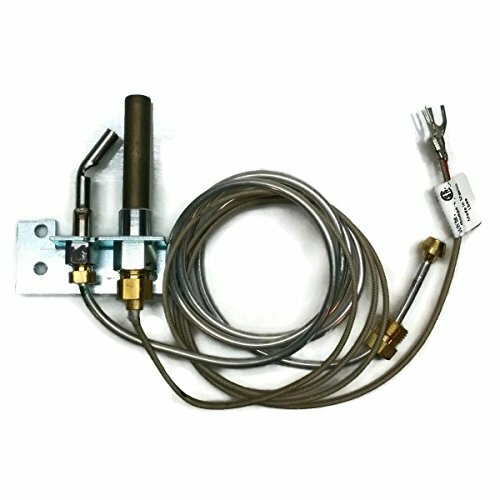 This is a whole kit assembly for all gas indoor products but mainly for Steak Oven. You may need to conside the connection dimensions and use some adapters if thread is not suitable for your gear at the moment. 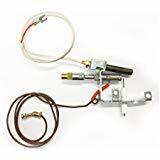 The Kit does not need any more igniter just connect well and connect the alumium tube with to burner nozzle well. The Valve is CE certified, Quality assured. 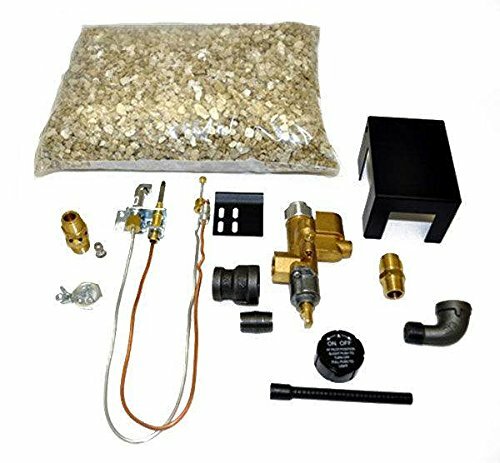 This is a whole kit assembly for all gas indoor products but mainly for Steak Oven. You may need to conside the connection dimensions and use some adapters if thread is not suitable for your gear at the moment.